Hello. 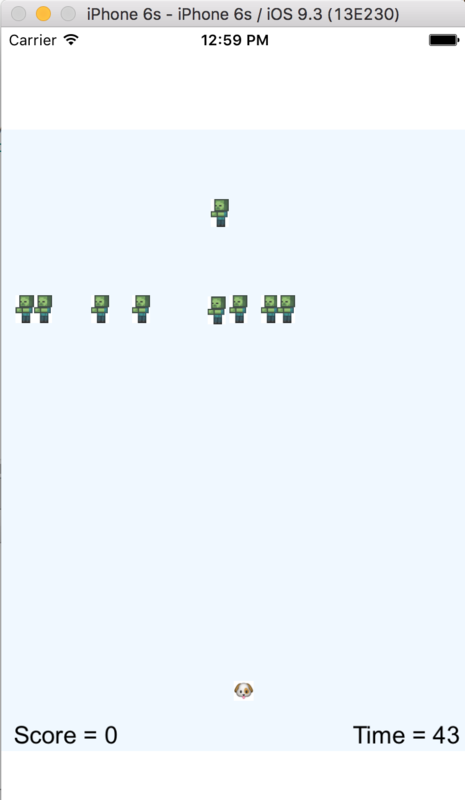 I'm trying to make a simple game where there's a zombie horde coming from the top of the screen to the bottom. I want that a new zombie appears every 5 seconds, and it does, but every time a new zombie appears the previous one stops moving and the collision doesn't work on that one. Can someone help me understand this behaviour and what's the best way to make it work the way its supposed to? I attached a screen shot that shows what happens. Every 5 seconds when a new one is added the previous one stops, and the collision detection is no longer working with the ones that are stoped. Nothing happends because you replace your zombie variable. 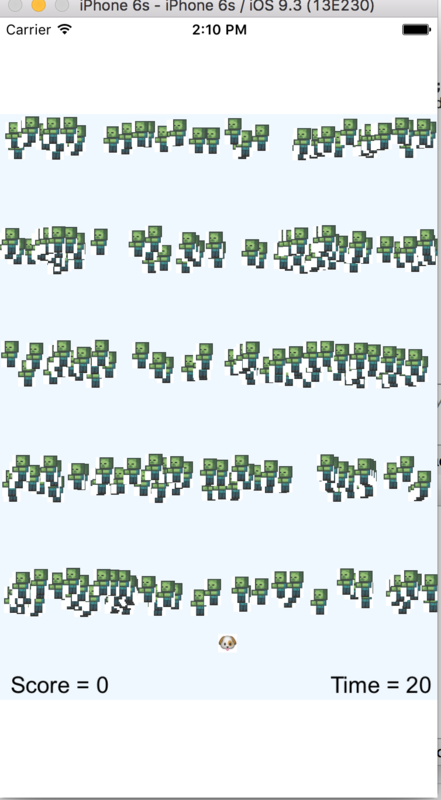 Removing all references to that sprite in other than your view. timer = (int)Math.Floor (time); // 5.1 = 5 | 5.2 = 5 | 5.999999 = 5 | etc. if ( timer % 5 == 0) // this will return true 30 times every 5 seconds! let me show you the code, I thought it was because of the random, that maybe it's adding a zombie in all the random positions, but I changed it for a constant value and it was the same thing.